PHOTO EYE | Who Let the Dogs Out? Rusty, a 5-year-old Beagle, walks his owner Brittney Mortlock during the 11th annual Parade of Paws on Saturday. 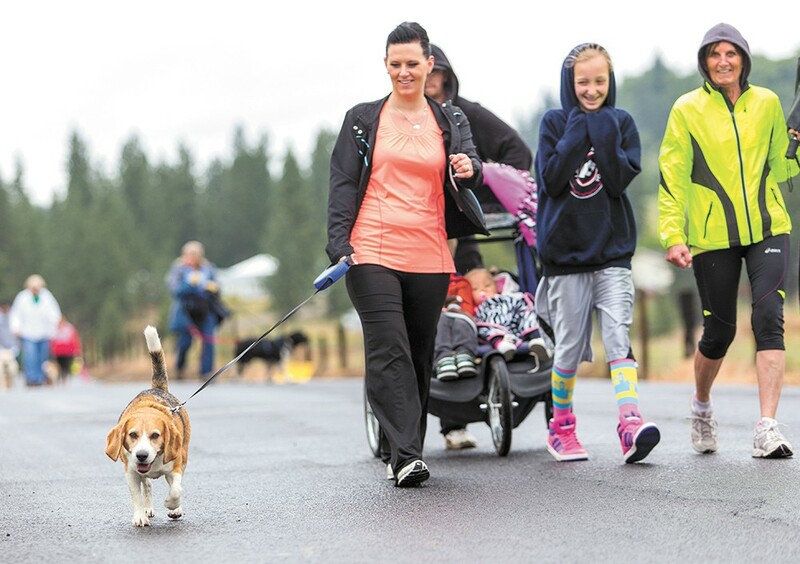 The parade is one of the Spokane Humane Society's biggest fundraisers, offering two walking routes for dogs and their owners and even inviting cats on leashes to participate. Despite the rainy weather this year, 468 people and 306 dogs attended, according to the Humane Society.